A year, a seeming heartbeat, has passed since Oregon’s plum and grape bounty first revealed its intensely sweet succulence to me. Now, with a Baking & Pastry Management degree from the Oregon Culinary Institute in my back pocket and as pastry chef at Nicoletta’s Table in Lake Oswego, I’m interested in ways the local bounty can be translated into fall desserts. 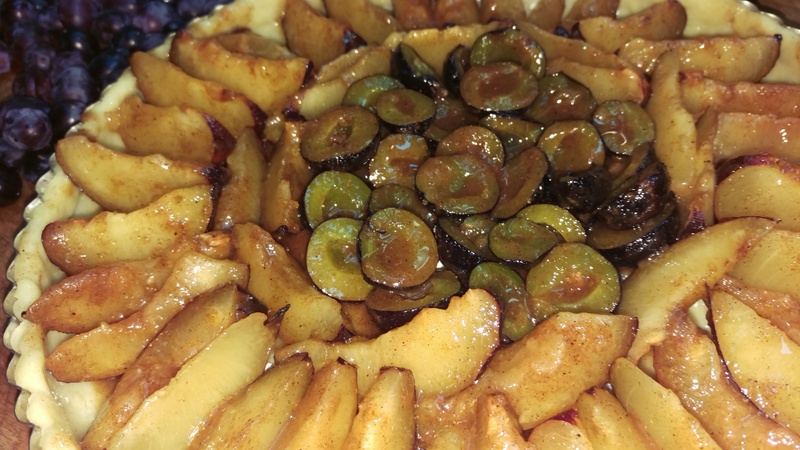 Enter Spiced Plum and Grape Tart. I felt the puritanical feature of my personality that surfaces as a love of intensely singular flavors falling away as I considered how best to enhance plums and grapes. The barest pinch of cloves, a few grindings of nutmeg, orange zest and a blush of cardamom. Vanilla bean-seeded sugar… just enough to support the flavor profile. 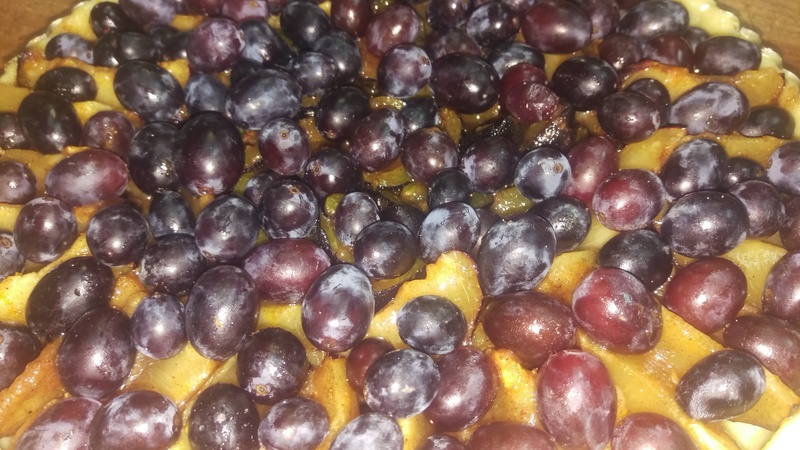 The Santa Rosa plum, Damson, the culinary plum, and Jupiter seedless Muscat grapes with a mildly tart skin. Amazing natural sweetness and depth of flavor. As a new pastry chef, learning the keys to successful pastry feel linear and are, hopefully, cumulative. Use ingredients of similar temperature. Aerate the butter for crustier tart dough. Don’t overwork the dough after the flour is added. The finished tart, teased quickly to room temperature in the blast chiller. 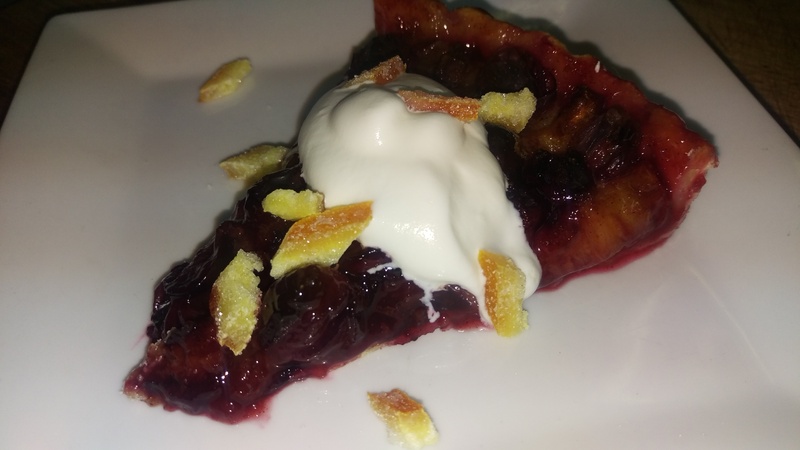 Thin, tender, flavorful crust juxtaposed wit the rich, married flavors of plums and grapes. Cream whipped to soft peaks adorned with gems of candied orange.